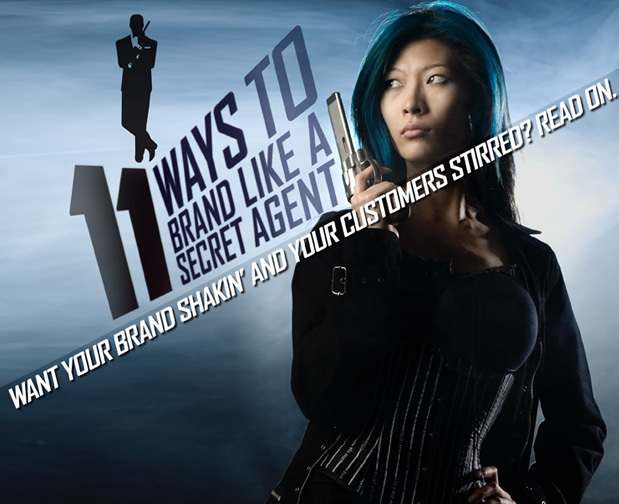 Brand identity expert David Brier uncovers the closely held secrets of a killer franchise and one of the most celebrated international agents in cinema history. And the qualities necessary to hit your target again. And again. And again. One of the longest and most successful franchises in Hollywood history has grossed an estimated $5,074,402,453 in the box office worldwide since it premiered on May 8, 1963. Ian Fleming created what’s been endlessly imitated and parodied. It has inspired scores of skits, punchlines, and script plots. Whatever one called it, everyone knows of it–and it’s the dream of every brand and every branding professional anywhere. 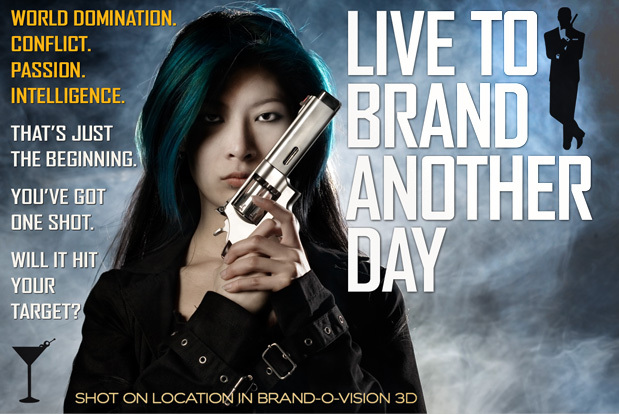 If you’re a CMO, a brand manager or, in any way, manage or direct the course of a brand, you are the 007 of your organization in a do-or-die mission. The greatest risk any brand faces is doing nothing. Being complacent. Thinking everything is just fine. Being uninformed. Being predictable. If 007 did nothing, didn’t collect intelligence on the mission at hand and failed to take full advantage of the element of surprise, he would have been dead early on. And the franchise along with it. When it comes to branding, scale is a factor. Shouting a meaningless bit of dribble is as effective as quietly whispering the most brilliant concept known to man in the middle of the Grand Canyon. You’re dead before you start. Go become a librarian if that’s the way you roll. The way Prince William and Kate each were open and accessible days (and nights) before the Royal Wedding showed a remarkable humility and approachability. 007 was very approachable, often using charm to get places that were previously off limits. Great brands share that quality. To get the love of your customers, you need to be bold. Confident. Sincere. Accessible. When you brand, do it like you mean it, and operate as though it’s live TV. In other words, there’s no “second take” so get it right. Live up to your buzz factor. Be bigger than life itself. Mere observations wouldn’t be of much use without a target and a plan. Were there traits that were present in a successful James Bond mission that were common to successful brands? I reviewed the characteristics of 007 as well as what made the Royal Wedding an international phenomena (it could’ve been a royal flop, relying on old tradition rather than breathing new life while respecting tradition). I looked at world class brands. I discovered eleven prevalent traits we can each use to eliminate evil oppression and help bring about order in a chaotic world. Pick a world-class brand. Any one you choose. Go through chart below. 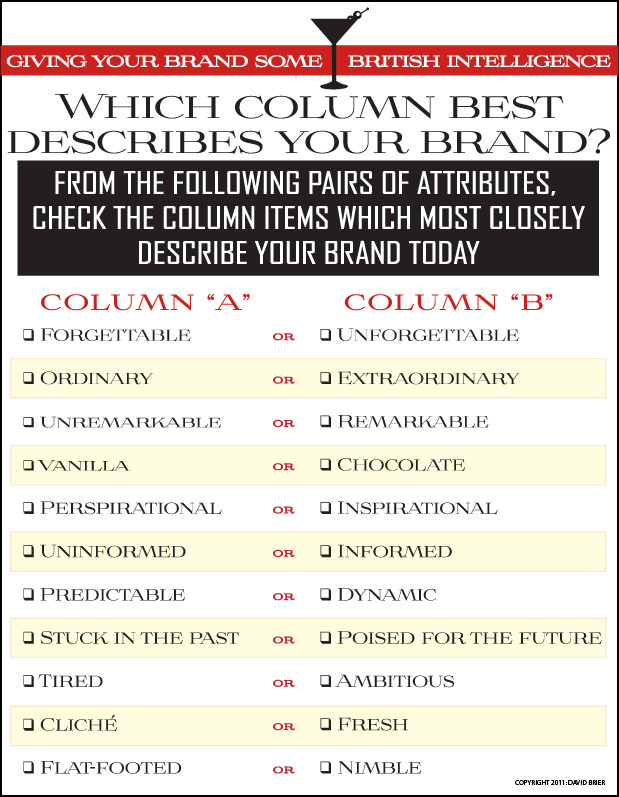 See which column has the majority of characteristics. 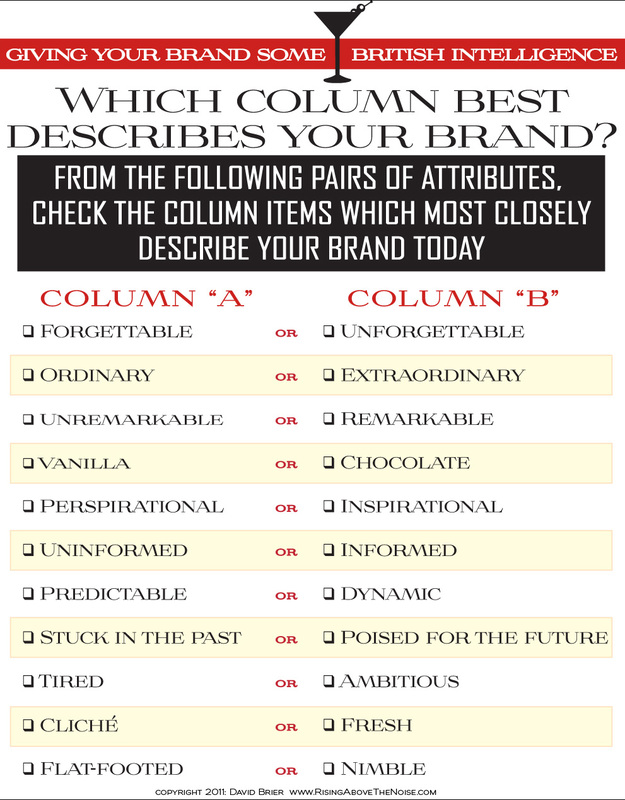 Which column had the most checks? You will compete on price alone as your sole differentiator because there is little or no perceived value. This will cost you margins and customers (since there will be little brand loyalty since that customer is loyal to what’s cheapest, not what’s best). It’s simple. Move as many of your traits over to column B as fast as you can and you too will hit your target. Again and again. Need more ammunition? Download your own copy of “The Lucky Brand” eBook.